After less than a year as the nation’s first online self storage comparison shopping and rental marketplace, Storitz.com has completely overhauled their site for maximum search traffic and the highest conversion rate in the industry. Through both analytics and extensive user testing, Storitz has fashioned a design that will improve the self storage shopping experience for its customers as well as improve clicks and conversions for its self storage clients. 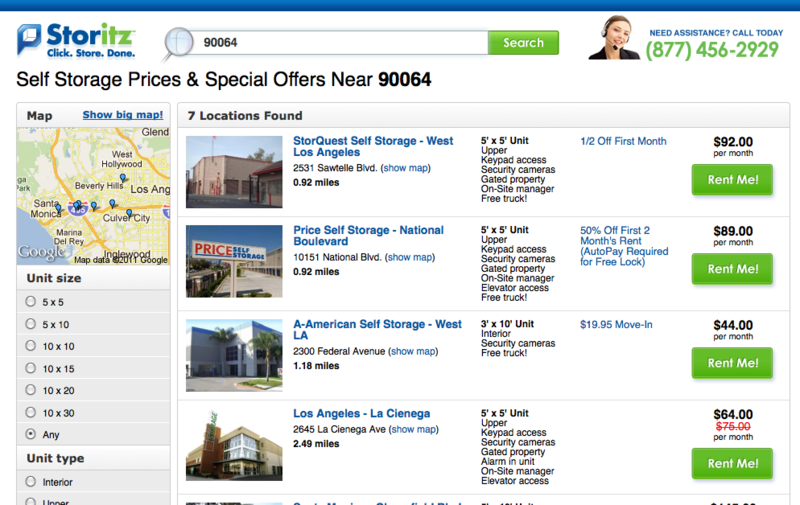 When CEO Adrian Comstock founded Storitz.com, his aim was to simplify searching for self storage and offer consumers a true one stop shopping experience. 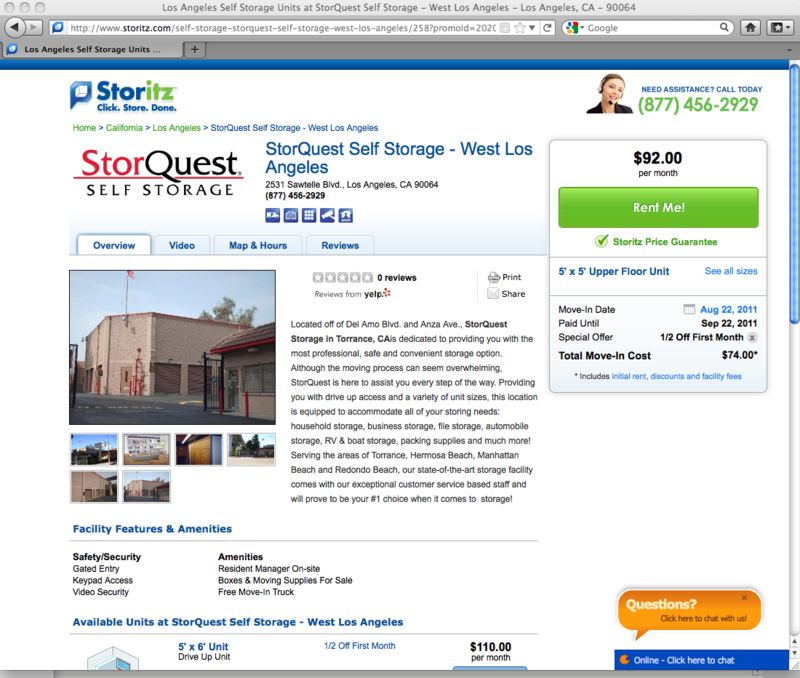 Storitz.com launched in September of 2010 and since then, the company has grown exponentially in both inventory of properties, site traffic and employees. “However, the site wasn’t meeting its goals for productivity and efficiency. We needed to start with a clean sheet,” says Comstock. The architect behind Storitz 2.0 was none other than the company’s new Chief Technological Officer, Charles Hornberger. Before joining Storitz, Hornberger headed up the product development team at AT&T Interactive, publishers of yellowpages.com and the country’s biggest local online ad network.